The day before the NYT article was published that I just took to task Mr. Mitton posted the below to his blog Death with Dignity. 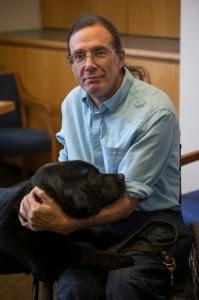 Link: http://dying-with-dignity.blogspot.com A hyper link to Mr. Mitton's blog was included in the NYT article. Eckholm however does not label the link or give url for the blog. I find this unacceptable given the fact the entire article relied on Compassion and Choices and the words of its president Barbara Coombs Lee. I am not at all surprised Compassion and Choices are now using and exploiting Mr. Mitton for their larger political goals--the passage of assisted suicide legislation. Read the below and explain how Compassion and Choices is the ethical organization it presents itself to be. In all fairness, they should have said on their Facebook post that Compassion and Choices decided to completely turn their backs on me and my situation! As soon as the news broke of dying with dignity in New Mexico, I started to research how it happened. It was a lawsuit brought on by C&C and the ACLU. My next step was to contact both. I had no problem getting in contact with C&C but I’ve not been able to make a dent getting through to the ACLU. I wanted to be someone that could do a little hell raising and speaking out about my situation before I pass. I told them my plans of how I am not about to wait out the last moments of death before going, that I was going to go on my own terms. Though I qualify for hospice care, I am passing on it. The help that I would get from a hospice is something that I just won’t be needing. When I can no longer cook for myself, get up and down the stairs to my apartment, and/or use my Mac/software is when I am going to go, after eating a very nice last meal. A couple days later I get a phone call from Pamela Mottola of C&C stating that in order for us to work together that I would have to agree that I would only starve myself to death as my form of dying!!! AYFKM!!!! Everyone that I have told that story to, my friends who know me first show rage, then amazement and then end up laughing because of the insanity of it all! I am an ultimate foodie! I live to eat and food is about the most important thing in life. At least for me it is! To suggest that I starve myself to death is about the most bizarre and upsetting thing that I have had to deal with as far as this situation goes in a long, long time. It was truly an insult to me and I let Pamela know exactly this. The next day C&C quote “this effectively ends our relationship”. Yet minutes after the article comes out about me today, it is C&C that is trying to glom onto this article like it was about them. Yes, they do serve a purpose. They helped New Mexico for sure. But it is not helpful for them to try to find puppets to die the way they demand the person die in order to get their help! That is EXACTLY what happened in my situation! No! This is a matter of choice! My choice! Not theirs! No one is going to be able to enforce their way of my dying my death. Not the State of Colorado and not Compassion and Choices. Compassion and Choices turned their backs on me yet it was my face and my cat that was their last post on Facebook. They should have been fair about this and posted that they already were well aware of me! Now they ought to just keep it there and accept the flack the they might get. http://www.nytimes.com/2014/02/08/us/easing-terminal-patients-path-to-death-legally.html?hp&_r=0 As an opponent of assisted suicide, I cringe when I read most articles published by the NYT that discuss end of life issues. I bemoan the lack of journalistic rigor, questionable ethics, and sloppy language used by Eckholm and many others who have published articles in the NYT on end of life issues. For the last week I tried to ignore what Eckholm had written. Yet I was and remain angry. I am not angry at Eckholm or the NYT. I am angry for the people who read this article and thought it was “fair”. There was nothing “fair” about this article. My anger does not stem from disagreement. I am happy to engage those I disagree with and do so on a regular basis. What angered me was how grossly one sided the article was. Those unfamiliar with the heated debate surrounding assisted suicide will completely miss the fact the article and author are grossly biased. For instance, Eckholm wrote Compassion and Choices, the leading advocacy group for assisted suicide, believes “giving a fading patient the opportunity for a peaceful and dignified death is not suicide”. Out of context this appears to be a given. We all have the right to die with dignity. We want to insure people in their final hours have a peaceful death. We all want a compassionate end of life. We all care about the elderly, disabled, and terminally ill. We do not want these people to suffer. Eckholm presents assisted suicide as being about the milk of human kindness. Stop the emotional gravy train. Think, really think about the implications of assisted suicide. Dig a little deeper, read a few articles by ethicists, and it will become very clear death is a complex subject. Few die at home surrounded by loved ones. Most people die in a hospital. Given this, the end of life issues cannot be constricted the individual level. Death is part of the health industrial complex. We do not die in a social vacuum. We die in institutions called hospitals or nursing homes. Articles such as the one by Eckholm rely heavily on the individual and anecdotal evidence to promote assisted suicide. Thus I balk when Eckholm presents Compassion and Choices as the sole arbiter and advocate for a compassionate and peaceful end of life. Those unfamiliar with Compassion and Choices and the complex issues families face when end of life approaches are easily swayed by emotion. Who could be opposed to good end of life care? Only religious zealots or bitter crippled people like me who want to impose their suffering on others (these words are often thrown in face). I am told “just because I made a decision to live my life with a disability does not mean others are capable or desire to the same thing”. Following this line of logic, I am a narcissist who does not care about human suffering. We all know people with a disability suffer. I am suffering. It is what we crippled people do. I do suffer but do so because of the deep stigma associated with disability. My “suffering” is socially created by ingrained disability based bias and bigotry. The sad fact is most people without a disability, and certainly the vast majority of those working in the health are system, cannot imagine my life and the life of all those with a disability is valued. We crippled people lead a good life in spite of the hostile social and physical environments we must navigate. Eckholm and others who advocate for assisted suicide conveniently ignore the above. Eckholm follows a well worn script. They typically follow a three step process. First, quote an obscure religious leader who is opposed to assisted suicide. In this case Eckholm quotes Archbishop Michael J. Sheehan of Santa Fe, NM who stated “the church teaches that life is sacred from conception through to natural death”. Conception nor natural death are not defined but the suggestion is such a notion is based on religious orthodoxy and not science. In addition the Archbishop ominously foresees assisted suicide legislation could have “dangerous consequences”. These is no mention of a single non religious disability rights organizations that also points out the inherent dangers to assisted suicide legislation. Step two, find a person with a disability or someone facing the end of his or her life that can be exploited and used to push for assisted suicide. Paint a grim picture of this person’s perceived quality of life. In this case Eckholm used Robert Mitton, a man “with a failing heart”. Mr Mitton does not want to endure another brutally painful surgery. Colorful or overly emotional language is used to derail sober analysis. For example, Mr. Mitton was told by doctors “the only way to take care of this is to rip me open again and that’s not what I’m going to do”. Mr. Mitton, cue the melancholy music, wants to die in peace. Mr. Mitton believes a dignified death “should be a basic human right”. Step three, quote someone from Compassion and Choices. In this case it is the president of Compassion and Choices Barbara Coombs Lee who maintains “there is a quiet, constant demand all over the country for a right to die on one’s own terms”. The conclusion is not hard to reach: who in their right mind could oppose assisted suicide? The emotional and anecdotal approach to end of life care or so called aid in dying is presented in a way that appears to be fair. The formula concocted and utilized by Eckholm and others does not permit a person such as myself or any disability rights groups for that matter to enter into the discussion. Systemic social analysis is effectively derailed. We crippled people, however, upend the legal and social band wagon. Our existence, an existence we value, causes too much discomfort. Worse, we people with a disability are articulate and organized. We point out in no uncertain terms that our lives are worth living. We point out all lives are worth living. We are not religious fanatics. We are merely human. We crippled people are human as are the elderly and terminally ill. I am human. Our bodies are different. As a result of our bodily difference, symbolically we represent a threat to others—typical others who fear death and disability. Let me tell you there is nothing to fear. We will all die. This is a given. Death is not a human right. Death is the fate all who are born will inevitably face. Human rights are about living. Living these days is not easy. Not when social supports for the disenfranchised are cut to the bone. It is not easy to live when food stamps are cut and too many people cannot afford to pay rent and eat. It is not easy to live when one cannot afford health care insurance or pay for prescribed medications. If we are going to have an emotional discussion let’s discuss why life is so hard for so many. Let’s discuss what drives a human being to believe their life has no value. On my drive home from Syracuse yesterday I stopped for gas. In the last year I have learned where the best gas stations are located. For me the best station means easy on and off the interstate. An accessible bathroom that requires the curb cut to be cleared of snow and entrance not be blocked. I treat myself to some junk food--the sort I can eat without causing my stomach to rebel. These modest requirements eliminate about 50% or more of the gas stations I drive by. Yesterday in a rural area of central New York I stopped for gas at one of my trusted stations. I struggled to get the pump to work. I could not quite see the small electronic screen on the pump. I swiped my card a couple times without success. I gave up and tried to get into the station. Several inches of ice made it impossible to get up the curb cut. Annoyed I was going to give the pump one more try and if it failed go to a different station. Thankfully the pump worked. As my tank was filling up a female employee came out of the station to see if I needed help. This woman had a well worn face. A sad face that revealed she must have led an exceptionally hard life. She could have been 35 or 65 years old. She told me "I hear you need help. Sorry I was in the back and did not see you" (so much for anonymity). I replied I was fine, thanks any way. I could feel the hairs on the back of my neck going up. I was trapped and knew what was about to be said or take place was going to go badly. As if scripted, the pump clicks off and this woman proceeds to tell me in far too much detail exactly what was wrong with the pump. The more she talks the more obvious it is she is drug addict. The sort of addict that is at the end of her rope. Thanks to my newly found interest in the TV show Breaking Bad I realize this woman is a meth amphetamine addict. As she speaks to me it is clear she has Meth Mouth. The tooth decay was severe--the worst I have ever seen. By itself this was disturbing. It is not every day you see someone whose entire mouth is filled with rotted or missing teeth. Her addiction was obvious as was a sense of desperation that oozed from her mere presence. She insisted on "helping" me. She told me "God knows I could be worse off than you. I got troubles too. I could be as bad as off as you at any time". Pause as she puts the hose back in the pump cradle. She turns and tells me "Who is going to help me? No one. Yes sir, I am going to be way worse off than you. It is going to happen. I need karma. If I help you maybe someone will help me when I am bad off. You are really bad off. I know I will be too". The look of defeat in the eyes of the woman I met for just a few moments was haunting. She was physically alive but had long since died inside. Her soul was lost. And I wonder why? Why and where did her life go wrong? Defeat and hopelessness was inscribed on her face. She used me, "helped me", as some sort of good will effort to enhance her future prospects. She did not need me. She needed a shaman. Here I sit a day later and wonder who will save the lost souls of this world and selfishly worry about my own soul. I will ponder this exchange for quite some time. On April 4 Syracuse will be hosting a one symposium entitled Lives Worth Living. Organizing this symposium with the outstanding help of the Renee Crown University Honors office has been part of my job this semester as the visiting Watson Professor. I will be speaking on April 4 as will Brenda Brueggemann, Barbara Farlow, and Sheri Fink. This event is free and open to the public. Spread the word! It is going to be an exciting day for me and all involved. Link to the agenda: http://watsonsymposium.syr.edu Cannot help myself but here is a photo of me and the lady of my life.